Reddit is an important tool to grow your business. Reddit is a social news platform that allows users to discuss and vote on content that other users have submitted. The benefit of displaying news and events to your followers is that when they visit, they are immediately updated with important facts, status and news. If you have a product or brand that thrives on interacting and gaining feedback from people, Reddit is a great place to do it. 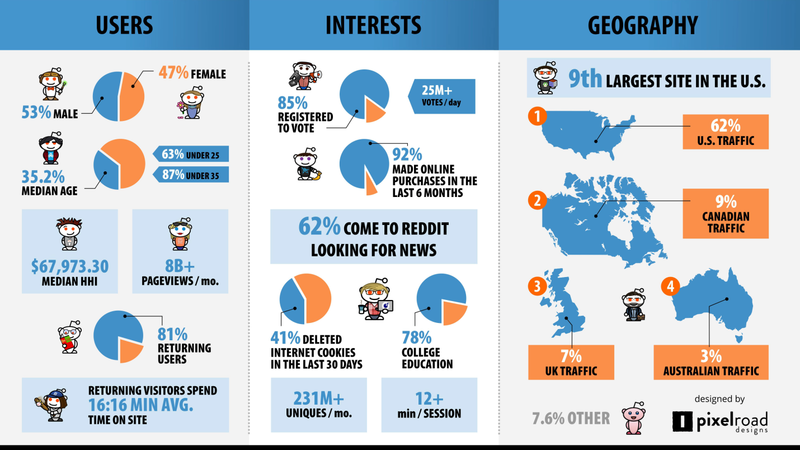 Your business can be the go-to source for a specific topic in Reddit and seeing there are more than 542 million active users it is a great customer base to reach.